Bright ruby in colour, this wine has concentrated aromas of juicy and crisp red fruit and plums. Notes of rich raspberries and strawberries on the palate, with hints of vanilla and cacao, with ripe tannins. 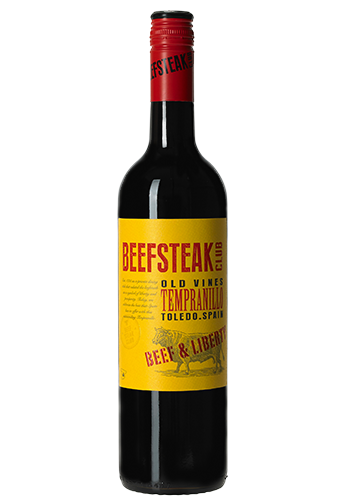 It's the perfect partner to grilled steaks and meaty tapas dishes. The Tempranillo grapes for this wine come from old bush-vines grown in the province of Toledo in the north of the central Spanish plains at altitudes of around 700 metres.